After 72 years of being missing in action the remains of Brookline WWII airman, Richard Horwitz, have been identified and returned to Massachusetts. Seventy-two years after his Army Air Forces bomber disappeared over the mountaintops in Northern Italy, Army Air Forces 2nd Lt. Richard M. Horwitz is coming home. Horwitz will be buried in West Roxbury Sunday with full military honors, the Defense POW/MIA Accounting Agency reports. Gov. Charlie Baker has also ordered all flags in the commonwealth to be flown at half staff for the day. 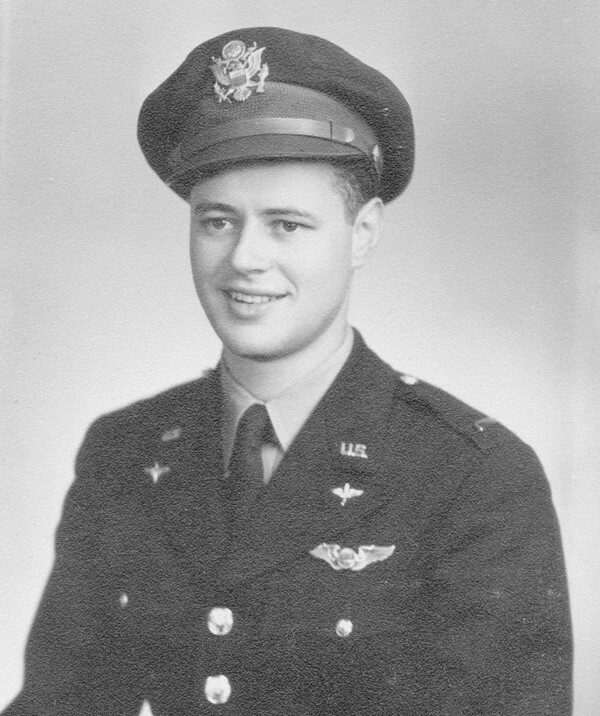 Horwitz, a Brookline native and 22 at the time, was a member of the 716th Bomber Squadron, 449th Bombardment Group and, along with 10 other airmen, was assigned to a B-24J Liberator aircraft. Flying out of Grottaglie Army Air Base in Italy on Feb. 28, 1945, the bomber had completed a combat mission targeting a railroad bridge in Northern Italy to disrupt German supply lines and was headed with other aircraft to a rallying point to regroup. But Horwitz’ bomber never made it. The B-24J was later seen skimming the mountain tops with at least two damaged engines before disappearing near a lake in Austria. The crew were reported missing in action. The bodies of five of the 11 crew members were recovered in the years immediately after the disappearance, but the aircraft’s wreckage and other crew members remained unaccounted for. According to the Defense POW/MIA Accounting Agency, the American Graves Registration Service, meeting in Rome in 1948, concluded the plane crashed somewhere in the north Adriatic Sea. In 2013, an Italian citizen located the wreckage of the plane off the coast of Grado, Italy. Horwitz’ remains were identified in 2015. Horwitz’s remains were identified through historical evidence, dental and bone analysis and by comparing DNA to a relative, the Associated Press reports. According to the Defense POW/MIA Accounting Agency, there are 72,990 service members still unaccounted for from World War II. The Agency estimates approximately 26,000 are potentially recoverable.